A UK-based financial advice group has been told that it must pay £150,000 for arranging a pension transfer so a client could invest in an offshore investment into controversial Caribbean luxury development company Harlequin Property. Sussex Independent Financial Advisers Limited had originally appealed a provisional decision by the Financial Ombudsman Service from March over claims it gave “unsuitable advice” to transfer a client’s personal pension into a self-invested personal pension (Sipp). The IFA had claimed that the client was not entitled to compensation because he had previously worked in the financial industry and had already agreed to buy the Harlequin investment using a personal pension as he allegedly knew the Harlequin sales agent as they had previously worked together. The ombudsman maintained its previous ruling, stating that a closer look at the client’s background showed he was clearly not an experienced investor and had “no experience” of investing in higher risk investments. 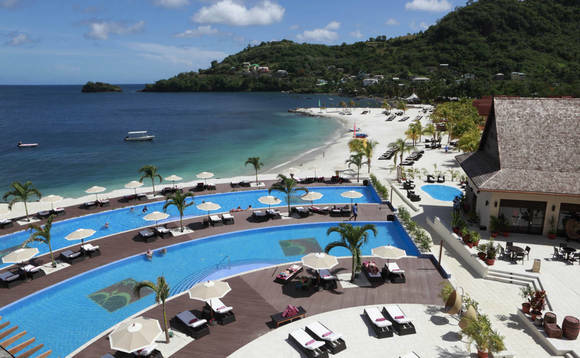 The offshore Harlequin property investment scheme has been the subject of many compensation claims, with its Caribbean Buccament Bay Investments scheme, pictured above, failing to materialise due to a catalogue of difficulties and issues with contractors. As reported, the Financial Services Compensation Scheme made it easier for those that had lost money in the failed investment, to claim compensation. In this case, the ombudsman ruled that Sussex Independent Financial Advisers failed to find out why the client was seeking to restructure his pension arrangements, despite protestations that the IFA was only involved in a transaction to arrange the Sipp. In ruling ombudsman Roy Milne, said: “In my view, if Sussex IFA was not allowed, or prepared, to advise on Harlequin, it should not have given any advice at all. The rules require an adviser to give suitable advice to their client. The ombudsman ruled that the client should be put back to the position he would have been in, prior to investing with Harlequin, but said that he is limited to awarding a maximum of £150,000 in compensation.